Although basic in parts, it’s so easy to get addicted to Nelke & the Legendary Alchemists: Ateliers of the New World. Alchemy gives a wonderful twist to the city management gameplay, and everything is so charming that it's easy to get lost in building up the town and watching it grow. It’s time for a change. Atelier, I love you, but it’s been 20 years now. You’re still super cute and all. I’m just worried that we’ll get bored with each other. What’s that? You’re willing to try something special for the anniversary? 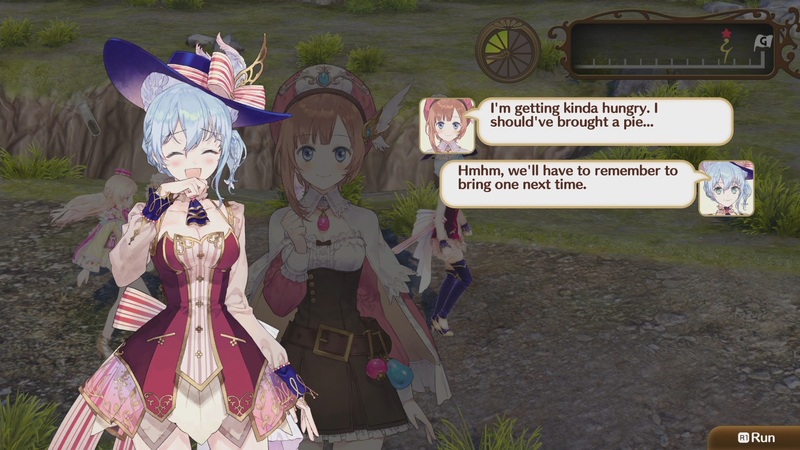 Nelke & the Legendary Alchemists: Ateliers of the New World puts so much focus on city management gameplay that the protagonist isn’t even an alchemist? Okay. I’ll bite. The story starts with Nelke arriving in Westwald as a newly appointed town administrator. It’s her job to turn this tiny isolated village into a grand, profitable trading post. She’s also eager to use any downtime to look into the local legend of the Granzweit Tree, as it might be the key to finding her missing childhood friend. Nothing of much really happens, but there’s not exactly a need for some deep meaningful plot in a city builder. 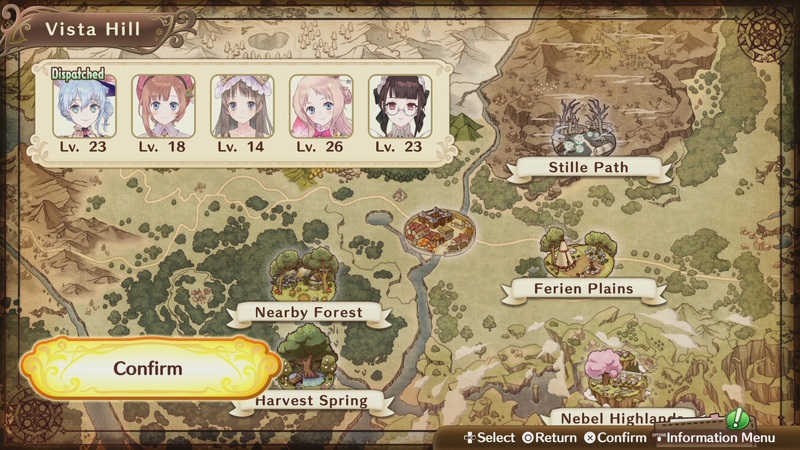 Story scenes made me smile from the soft, fluffy atmosphere, and that’s all I really need an Atelier game to do. 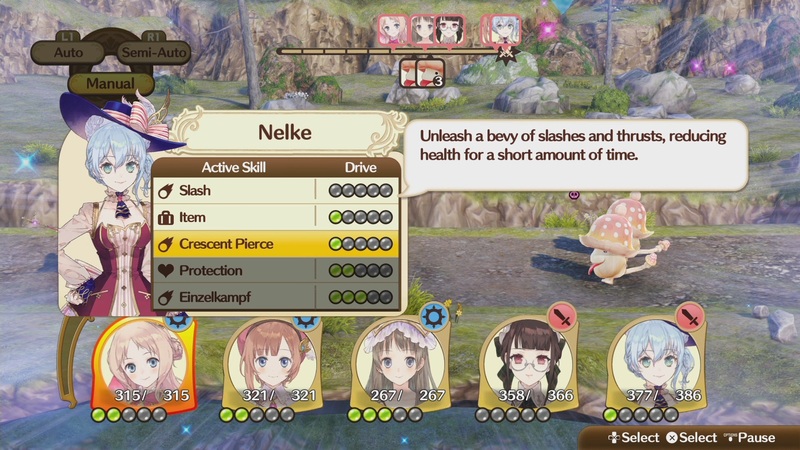 As a fun addition, Nelke is joined in her task by a host of characters from across the Atelier franchise. Everyone is here, including those from Japanese exclusive titles, and my personal favorite side-game, Mana Khemia. Seeing them all happily chat about their adventures is so charming. So much detail has gone in, as well. Characters keep the art style and music of their games, while the main characters are all voice-acted. Okay, so there isn’t room for everyone to get solid attention, but the attempt to get as many involved as possible will not go unnoticed by fans. Anyway, Nelke & the Legendary Alchemists is an interesting mix of JRPG and city building sim. Each turn in the game represents a week, made up of a work and holiday section. Work is all about menu management with choices over what to build, produce, make, and sell. Holidays can then be spent growing relationships, conducting research, and exploring areas through investigations. Flip-flopping between these two tasks works well in making what should be a repetitive formula stay engaging. Something that works really well is Nelke only having 12 time slots to get stuff done during holidays. Chatting with friends takes up 2 slots, rewarding friendship with stat boosting landmarks and important recipes. On the other hand, investigations give new ingredients and monsters to fight, while going out to explore also drains the remaining time (even if the bar is full). It’s a nice gentle management mechanic that ultimately stops these aspects from getting boring. Investigations are not the usual romp around small, plentiful, 3D environments. Instead, party members casually stroll from one end of a linear path to the other, automatically gathering items as they go. I’m not kidding when I say that my only input is being able to make them run. Surprisingly, there’s a small amount of strategy to this. Running means more of a guarantee at finishing the area and thus being able to unlock the next one. However, it also forfeits gathering, while increasing the likelihood of getting into a fight. The turn-based combat is so casual you’re given the option to wiz through on auto. To give an idea, most characters that can be added to the party are classed as Support. This means they automatically attack with 1 of 2 set moves when it gets to their turn. It’s possibly the most leisurely gameplay I’ve ever come across, with characters chatting away as they explore, then skipping through fights. Real talk though, despite how crazy barebones all the investigation stuff is, I can’t help but be drawn in by how pleasant it feels. To be fair, the focus is supposed to be on managing the city. Here’s where the work part of Nelke’s week kicks in. Firstly, money and items can be used to create and place new buildings. These are divided into Ateliers, Stores, Farming Patches, Landmarks, Decorations, and Roads. My favorite thing has to be all the landmarks that reference whoever it comes from. For example, painting lover Lydie wants an art gallery, while carrot-obsessed Viorate suggests a carrot farm. Everything is so quaint I wish I could just live there myself. I can’t my dream town if I don’t have money. Now, simply gathering a bit of fruit and flour isn’t going to sell millions, but at least turning those things into a pie would be a good start. Here’s where the alchemists come in. So long as the necessary materials are available, I just need to find the item I want and add it to a production list. Simple stuff. That is until having to sort through over 12 ateliers who all take from the same storage pot. Making sure no one doubles up or runs out of anything is a genuine test of my organization skills. Once the alchemists are properly organized, I can sell what they make in shops for a tasty profit. Not only do I get to choose what gets sold each week, but who runs the place. Characters are good at different things and will sell or produce more for having a high grade in that area. Yet I like to be sneaky. Sometimes it’s only possible to make 2 or 3 of a really high selling item. Then it’s time to switch to a lower grade seller who’ll happily sell that smaller amount. They get to play shopkeeper for a turn, and I get extra money. Everyone wins. As is often the way in management games, though, Nelke & the Legendary Alchemists has a lot of menus to navigate. While not too bad once used to it, a couple of areas feel messy. The most annoying is probably ‘options, down, then X’ in order to see requests. Yes, I’m being petty, but three button presses per quick glance is annoying for something I need so often. I ended up creating my own separate list on a piece of paper to make things easier. On the other hand, holding Nelke & the Legendary Alchemists together are the tasks set by Nelke’s dad. Havinfulfillulfil these naturally gives you a really impressive town, since you’re forced to increase the population, money, and so on. Perhaps, more importantly, is simply how they give urgency to each week. Fail the time limit and get an instant game over. There are some benefits for starting again, but a few percentage increases don’t do much to lessen the sting of so many lost hours. Time to get good (or at least have multiple saves). Despite the new genre, Nelke & the Legendary Alchemists: Ateliers of the New World still feels so comfortingly familiar. Style, pacing, and characters are all embedded in that delightful whimsy the series is well-known for. Okay, there are limitations within both the JRPG and city building aspects. I personally found the condensed gameplay appealing, as the simplicity makes it far too easy to ‘just play one more round’. Blending together alchemy and city management makes for a wonderfully fresh take on both styles, resulting in a charming 20th anniversary celebration of Atelier cuteness. This review is based off the PlayStation 4 version of the game. A review copy was provided by Koei Tecmo America.